-It's portable - you can authorize your software anywhere it is installed. At home, work, or at a remote location, you can keep your software licenses with you, not on your computer. -It's convenient and cross-platform - Store your Mac and Windows iLok-enabled software licenses all on a single iLok. 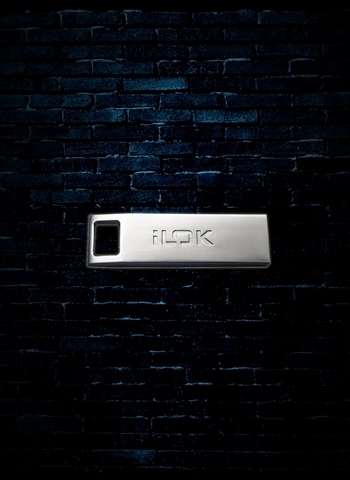 A Third Generation iLok can hold over 1500 licenses. -Worry Free - Your licenses are on the safest, most secure solution: the iLok. With Zero Downtime protection available, you've got 24/7 peace of mind.